The main criterion for selection of the piston material is the thermal conductivity and fatigue life of the material. Due to direct contact with the high temperature gases piston can seize if expanded more than provided clearances. Bottom Dead Centre (BDC) and high temperature fluctuations during operation, this can be called as thermal cycle loading. The temperature of the initial flame front during combustion exceeds 2200 Degrees. When the piston is subjected to this temperature for a short span of time, the thermal stress and expansion of the piston head are to be considered as serious factors. In addition to these forces and thermal fluctuations incurred by the piston, the piston changes its direction inside the cylinder bore. 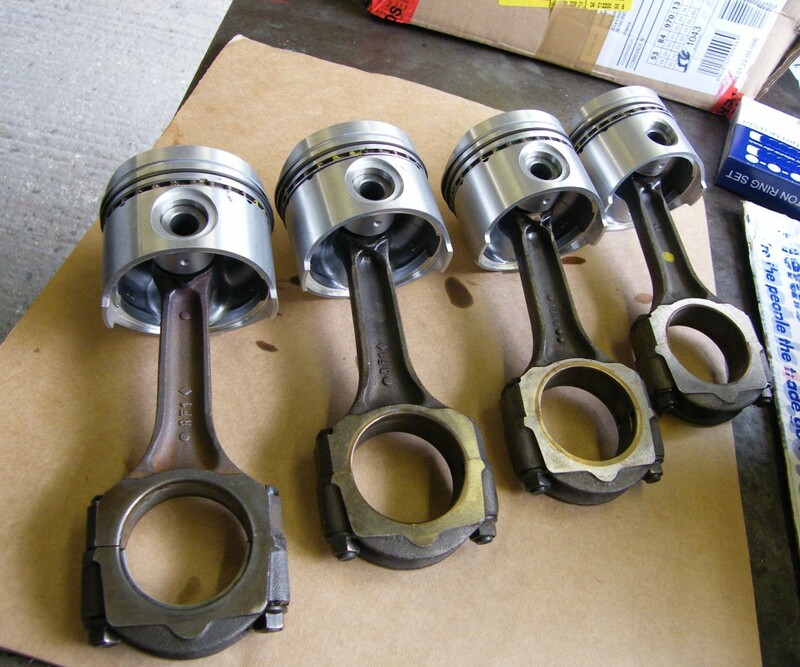 Design, material selection and manufacturing of piston are to be considered to satisfy these operating conditions. Aluminum silicon alloy is used as a piston material. Considering all these properties, material that is most commonly used is cast aluminium alloy but in some case cast iron. Cast iron has the economic advantage, but aluminium is lightweight and has good thermal conduction properties. Also the light weight of aluminum reduces the overall mass and force necessary to initiate and maintain acceleration of the piston. This allows the piston to utilize more of the force produced by combustion to power the application. (i) Reduces solidification and hot cracking. Piston should be designed and fabricated with such features to satisfy the above requirements.which in turn reduces the weight of counterbalance. It affects the noise, vibration, harshness and the durability of the engine.